If you have ever searched for ways to make your iPhone’s battery life last longer, then it’s likely that you found a tip to turn off a feature called Background App Refresh. This is a feature on your phone where apps will check for data and update periodically so that you are seeing the most current information when you open the app. While this is a helpful feature, it also drains your battery a bit. 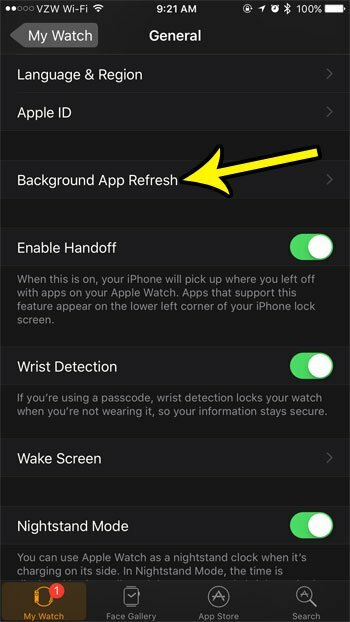 The same issue can arise on your Apple Watch so, if your watch battery is draining quickly and you are searching for ways to deal with this problem, then follow the guide below to disable Background App Refresh on the device. The steps in this article were performed in the Watch app on an iPhone 7 Plus in iOS 10.3.3. The watch being used is an Apple Watch 2 using Watch OS 3.2. Step 2: Choose the My Watch tab at the bottom of the screen. Step 3: Select the General option. Step 4: Scroll down and touch the Background App Refresh button. 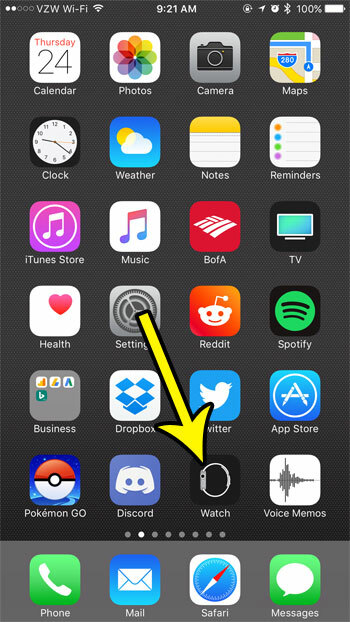 Step 5: Tap the button to the right of Background App Refresh at the top of the screen to turn it off. There won’t be any green shading around the button when Background App Refresh is turned off. 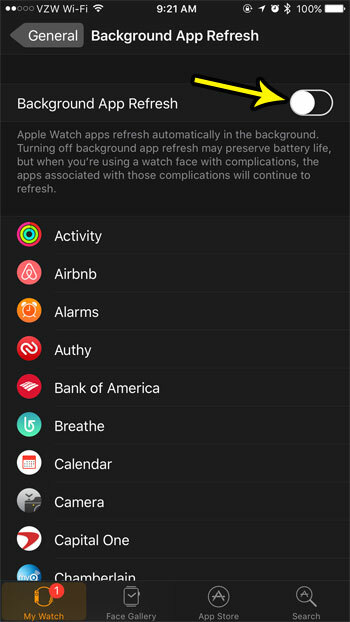 Note that if you have a complication on your watch face that the app associated with that complication will continue to update, regardless of the Background App Refresh button. 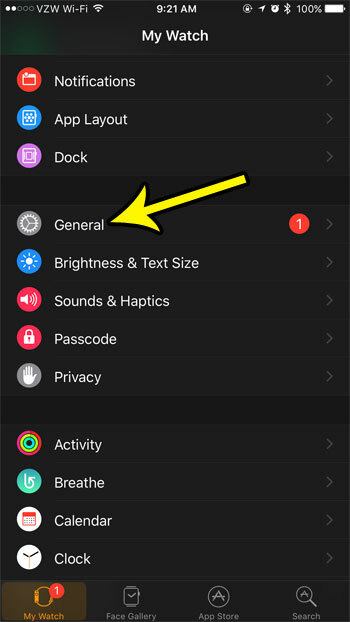 Are you missing text message notifications on your Apple Watch? Learn how to repeat those message notifications a few times if you find that sometimes you can’t feel the alert vibration when you are active, or doing something that requires your full attention.